The escape of genes from crop species to their wild relatives has been a central debate since the commercialization of transgenic crops, more than two decades ago. During this period, researchers have asked whether transgenes can escape to nature by gene flow between crops and wild plants. Nowadays, a cumulative body of evidence suggests that in the mid-term, transgenes with some adaptive advantage (as herbicide or pest resistance) are introgressed into the wild populations and persist in nature. Similarly, it can be extended to genes obtained from non-transgenic ways as chemically or physically induced-mutant alleles. The first studies on this topic did suggest that there would be a low risk of crop genes escaping, mainly because of the low fitness of crop-wild hybrids, i.e. there is gene flow between crop and wild plants but the hybrid progeny are so low fit that they are rapidly extinct. However, it has been demonstrated that hybrid progeny may not be low fit in some conditions and the fitness of hybrid progeny can be re-established in a few generations. On the other hand, fitness has rarely been estimated across the season ignoring seed traits as seed dormancy and germination, which precede and condition the traits expressed later in the life cycle. In our study, we used sunflower as a model system. 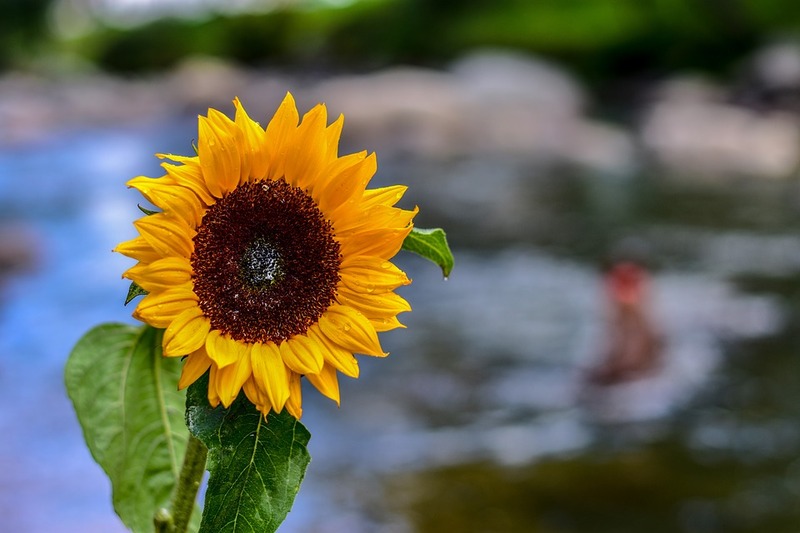 Crop and wild sunflower coexist naturally in their native range (North America) and in the non-native range in Argentina, Australia, and Southern Europe. Using wild populations and crop varieties, both from Argentina, we produced crop-wild hybrids on crop and wild plants to investigate the influence of the maternal parent on seed traits. During domestication and modern breeding, conscious and unconscious selection dramatically shaped crop phenotypes from their wild ancestors. Crop plants were selected for higher seed yield, larger edible seeds, and non-dormant seeds. Despite the obvious agronomic importance of these traits, they are considered maladaptive in nature. For example, the lack of seed dormancy associated to domestication allows a rapid and uniform germination at the field but it hampers the adjustment to the optimal time of the season in natural conditions. In our study, we found large differences in seed traits. Crop seeds were much larger and heavier than wild seeds. Also, we observed clear differences in the pericarp anatomy of the seeds. Crop and wild seeds largely differed in seed dormancy. Wild seeds exhibited a seasonal germination, regulated by seed dormancy. They had a low germination at release, increased their germination after a simulated winter, and decreased again after a simulated dry summer. This seasonal behavior avoids autumn and late-summer germination and situates the maximum germination in the spring. Contrariwise, crop seeds showed a high seed dormancy immediately after-harvest, but it was rapidly removed. The absence of seasonal germination in the crop seeds explain why crop seeds are rarely able to form seed banks. When highly divergent taxa as crop and wild plants hybridize, we expect that most of the traits in which their parent differ be intermediate, therefore be predictable. However, there are traits especially ruled by the maternal parent. The causal effect of the maternal parent on the progeny is termed maternal effect, and it has evolutionary importance in most of the organisms. We found a large maternal effect for all the seed traits. Hybrid seeds resembled their maternal parent. Hybrid seeds produced on the wild plants exhibit similar seed germination, seed dormancy cycling, seed size and pericarp anatomy than the wild seeds. We did not observe seed traits with the intermediate phenotype, expected for crop-wild hybrids. The study, The role of domestication and maternal effects on seed traits of crop-wild sunflower hybrids (Helianthus annuus) was recently published in the journal Annals of Applied Biology. Fernando is a researcher at the Universidad Nacional del Sur.